Launch into the X-Wing™ Winter 2015 Season with new Tournament Kits! These exciting kits are now available for order through your distributor or by contacting your sales rep. International retailers should contact their distributor. Featuring cinematic dogfights and a unique movement system, X-Wing continues to expand and build new game communities around the world. 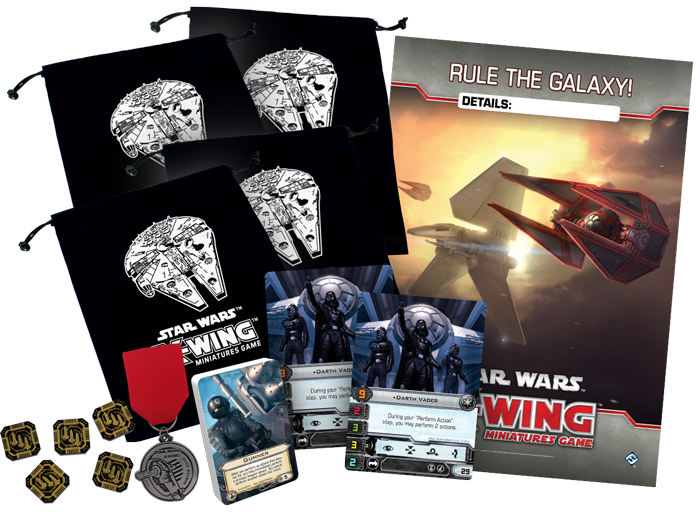 The Winter 2015 X-Wing Tournament Kit comes with an event guide and new promotional materials to help support tournaments, league play, or any other event you wish to run. The Winter season begins in November and lasts through February. 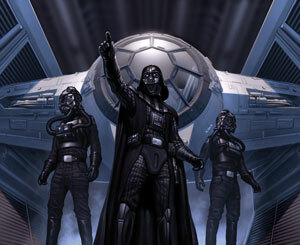 Tournament Kits are designed for use with our competitive games, such as X-Wing, and they can be used in several ways. These kits include prize support and promotional material designed to support competitive or casual tournament play at local retailers. Run an eight-week tournament series or league, use the prizes to support a single, large tournament, or host a weekly casual game night. Tournament Kits also come with a guide that provides tips and ideas on how to run a great event. What’s in the Winter 2015 X-Wing Tournament Kit? If you’re looking to run tournaments from November through February, a Winter 2015 X-Wing Tournament Kit is an excellent resource that provides everything you need. Order now through your distributor or your sales rep to get fantastic prizes and suggestions on running the best events possible!